HTC has attempted to calm worries that it will be destabilised by the ongoing Apple lawsuits, stating the company can weather the impending storm. Apple is seeking to stop sales of HTC phones and tablets it feels infringe on its patents, and is likely seeking royalties on each relevant device sold in the future. However, despite stating it is willing to meet with Apple to thrash out the problems within the suit, HTC CEO Peter Chou still maintains the Taiwanese firm is merely a victim of its own success. "Many lawsuits nowadays are results of being successful; it's part of the business," said Chou in a telephone conference according to Reuters. "We will not bring the company to a dangerous position." HTC's share value dropped in the wake of the announcement of a lawsuit from Apple and have yet to fully recover. 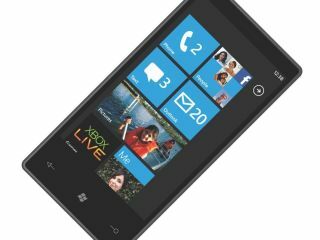 The firm is already paying a license fee to Microsoft to use elements of Android, and further royalty payments to another company would have another impact on its bottom line. Let's just hope all these patent issues get solved in the next year or two and we can get back to publishing blurry pictures of possible phones that may be the next iPhone/Galaxy/Desire killer.